One of the most difficult issues related to recovering from identity theft is the feeling that you’re all alone in the process. The police will take a report about your identity theft (if you choose), but more often than not, they are ill-equipped to deal with the issues involved in the crime. Instead, your best friends in dealing with identity theft are your banking institution (whether they are a bank, credit union, or other body) and the credit bureaus. This means that a report on your credit history will be requested from the three major credit reporting agencies: Equifax, Experian, and Trans Union. Unfortunately, many people view these agencies like boogie men. That label is rather unfair, since if you have good credit, these companies can be your best friends. On the same token, if you feel that you have been the victim of identity theft, these agencies can be just as good to you. If you suspect that you have been a victim of identity theft, the process of clearing your name is relatively easy. The law provides every person on whom there is a credit record the opportunity to examine their file once each year. It’s that easy. Making this request is free of charge and there are no exceptions. No ifs, buts or maybes. Whether you feel that you have been a victim of identity theft or not, you should avail yourself of the opportunity to check your credit report annually. This is largely a matter of prevention. After all, you can’t fix something that for whatever reason you don’t know about. 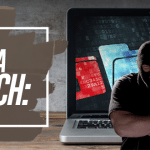 If on the other hand you do suspect identity theft, there are several steps you should take, according to the federal government’s one-stop shop on identity theft. This can be found at https://www.identitytheft.gov. After you check reporting agencies and you discover some kind of irregularity with your data, the first thing you should do is to contact the businesses where the problem occurred. If, for example, your problem is with XYZ store, simply contact that store to attempt clearing the issue up. 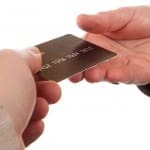 This is usually easy to do, and the store will handle clearing up the problem with the credit agencies. Next, check reporting agencies for a credit report and file a fraud alert. This will start the process of determining what has happened and where it started. This is the credit world’s way of issuing a “heads up” to the business community. Once the report has been filed with the reporting agencies, you will have a central clearinghouse to help clean your record. Without this there is no way for anyone working on the problem to check out the circumstances surrounding it. Next, contact the Federal Trade Commission. Once here, you will be able to fill out a theft affidavit. You will need this to complete the remainder of the process. Now report the theft to your local police department. Take a copy of your affidavit to the police along with your picture ID and any supporting documents you have. With all of this in hand, you can proceed to begin the process of restoring your credit history, sans the theft. Learn more about Credit Reporting Agencies & how it can affect you & your family. Get valuable information & resources about Credit Reporting Agencies now. Good point. I often dread applying for credit because I get afraid to have too many inquiries on my credit report. But they’re not just the boogie man looking to create trouble. They can provide you with information you really need to prosper. That’s why I love Identity Guard. Depending on the level of membership you get, you automatically receive quarterly or monthly credit scores and reports so you don’t have to worry about pulling your credit and lowering your score.